Another week has flown by, my friends, and yet again I only managed to find the time to shower twice. Thank goodness for deodorant. According to the weather app on my iPhone, it's supposed to be a gorgeous weekend, so I'm looking forward to enjoying it with the Hubs and the kiddo. Saturday we're planning to head south to Orange and do a little antiquing. I'm in the market for some cool mid-century lamps for our bedroom, and I have a few antique furniture pieces I'm hoping to sell, so the first stop will be Down Home Antiques. Even if I don't find any must have treasures, it's a great place to walk around and go retro for lunch at Watson Drugs. 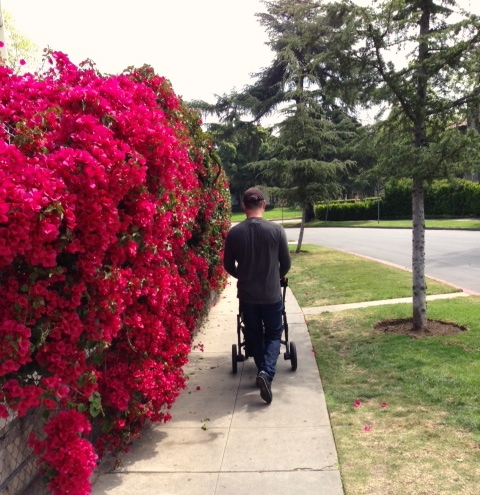 Thanks to our new and fabulous stroller, I've been re-discovering some of the great shops in our neighborhood. My new obsession is Ampersand for gorgeous designer clothes and shoes (all consignment - hence the fact that I can sort of afford them). I'm lusting after a pair of Manolo's I saw there this week, so if I can pawn the Muffin Man off on the Hubby for a few hours I may just do some serious damage to our joint checking account. We always make sure to hit the Larchmont Farmer's Market on Sunday mornings to pick up our organic produce for the week. My new obsession is the goat yogurt from Soledad Goats. It's crazy expensive, but totally delicious for breakfast with a drizzle of honey and some fresh berries.